Superb blend of ride quality and enjoyable handling. Comfortable and refined. Well-equipped as standard. Available with low CO2 diesel engines. Some of the best equipment is optional and expensive. Some materials aren't quite up to standards of an Audi A6. Jaguar owes much of its current success to the original XF, so there’s a heavy burden on the shoulders of the latest model. Fortunately it delivers on all fronts. It’s excellent to drive, luxuriously finished and packed with up-to-date technology. 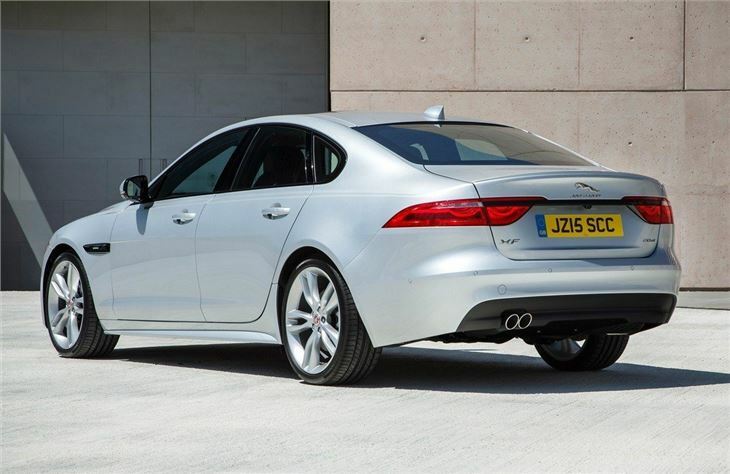 For someone seeking an alternative to the usual German executive saloons, the XF is perfect. The XF is available with a choice of four engines – three diesel and one petrol. For the most part it’s perfectly fine with the basic 163PS 2.0-litre Ingenium diesel, but those who want a bit more oomph can opt for the retuned 180PS version. There is also a smooth and powerful 3.0-litre V6 diesel with 300PS, plus a 380PS supercharged petrol for those who really want pace. The most popular engines will be the 2.0-litre diesels, thanks largely to their low CO2 outputs. The most economical 163PS manual version emits 104g/km, placing it in a low benefit-in-kind bracket for company car drivers. Those who want an automatic transmission aren’t penalised too much – this pushes emissions up to 109g/km. 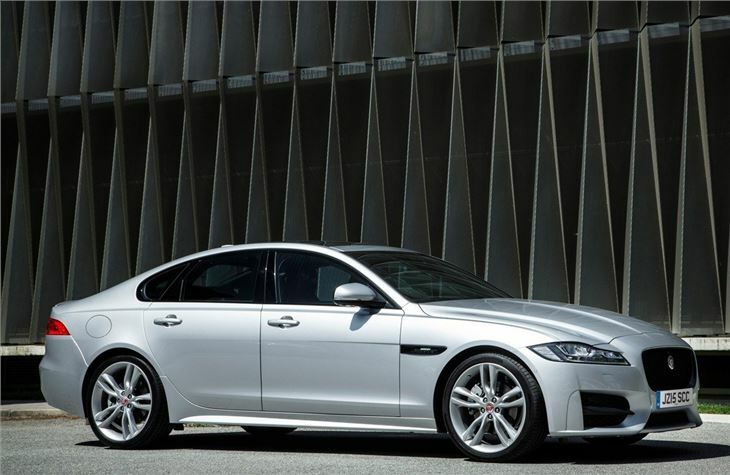 The XF has a beautifully-finished cabin and it comes with plenty of ‘feelgood factor’. Starting the ignition causes the vents to rotate open and the automatic gear selector to rise up, while the start button pulses like a heartbeat. These touches are completely unnecessary in the grand scheme of things, but they give the XF real character. There’s space in the back for adult passengers to get comfortable, with ample knee room and enough head room for all but the tallest occupants. There are also creature comforts like heated seats and ventilation. Boot space is 540 litres but, like all saloon cars, the XF is less practical than a hatchback or estate thanks to a narrow opening. The XF blends excellent ride quality with lithe, enjoyable handling, even on badly potholed roads. The steering is nicely weighted and immediate while the suspension keeps body roll in check. 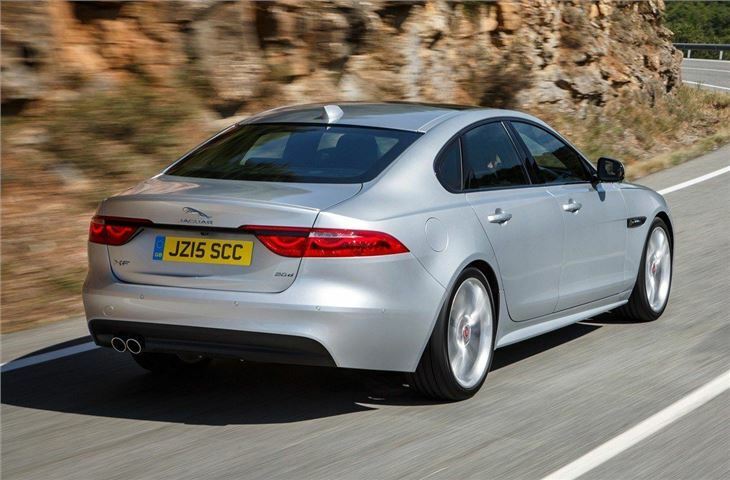 On the motorway the XF is relaxed, refined, comfortable and quiet, plus it has standard-fit cruise control. 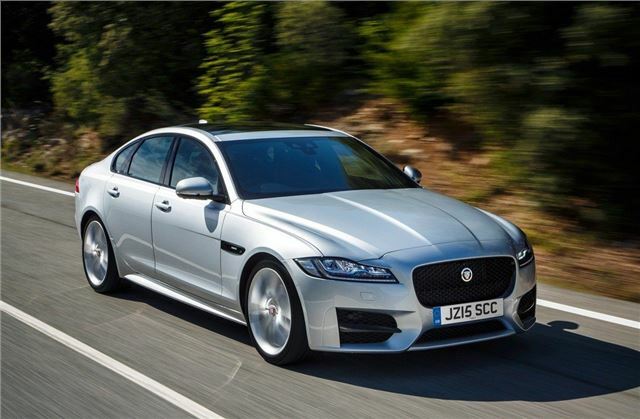 The Jaguar XF is a very good alternative to the cars like the Mercedes-Benz E-Class, Audi A6 and BMW 5 Series. It’s as well-made as the competition, plus it offers excellent ride quality and enjoyable handling. Moreover, it’s charismatic and characterful in a way that rivals simply aren’t. Whether that is reason enough to choose one is up to you.